The Swisher ATV Commercial Plow and Universal Mount is everything you need to turn your ATV into a work horse. The mount kit attaches to the rear hitch and front lower control arms of most ATVs. It's made from steel square tubing with a leaf spring design to help bolster the front suspension. Simply attach the plow blade to the mount with a pin. The plow blade makes moving snow, dirt, and gravel quick and easy. The 50 wide, 11 gauge rolled steel blade provides powerful shovelling and levelling capabilities. It features a heavy-duty swivel with dual engagement and 5 angle adjustments. Hardwearing 3/8 steel skid shoes are provided. Use with existing winch. SNOWBEAR Plows Inc. is the leading North American manufacturer of personal and light commercial snowplows and related accessories. We strive to create products with innovative features that make our customer's recreational and outdoor working lifestyles easier. We pride ourselves on the quality of our products, as well as the superior service and support we provide to our customers. SNOWBEAR Snowplows come loaded with features to make the job much easier. This Replacement Winch strap is the ideal accessory for your SNOWBEAR snow plow. SNOWBEAR Plows Inc. is the leading North American manufacturer of personal and light commercial snowplows and related accessories. We strive to create products with innovative features that make our customer's recreational and outdoor working lifestyles easier. We pride ourselves on the quality of our products, as well as the superior service and support we provide to our customers.SNOWBEAR Snowplows come loaded with features to make the job much easier. This 2 in. 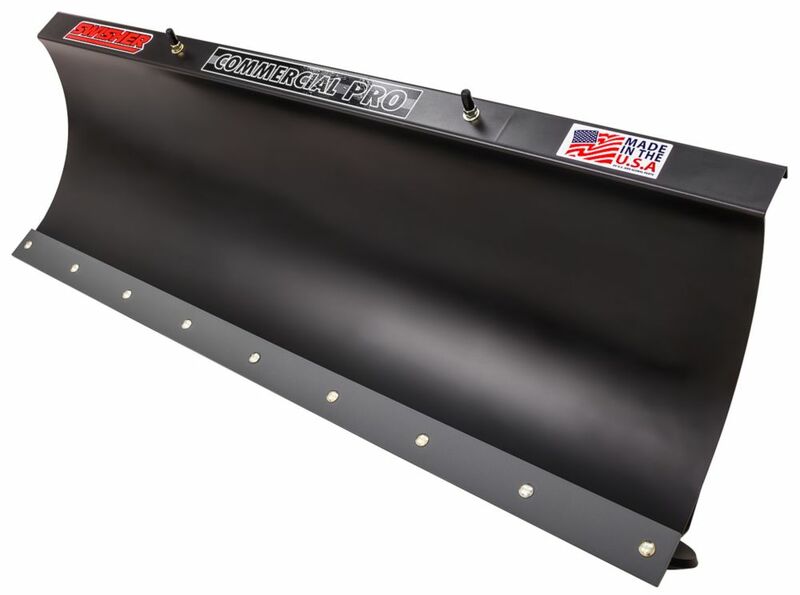 Cross Member Retrofit for Snow Plows with a 2 Point Mounting System is the ideal accessory for your SNOWBEAR Snow Plow. SNOWBEAR Plows Inc. is the leading North American manufacturer of personal and light commercial snowplows and related accessories. We strive to create products with innovative features that make our customer's recreational and outdoor working lifestyles easier. We pride ourselves on the quality of our products, as well as the superior service and support we provide to our customers. SNOWBEAR Snowplows come loaded with features to make the job much easier. This Heavy Duty Skid Shoes is the ideal accessory for your SNOWBEAR Snow Plow. SNOWBEAR Plows Inc. is the leading North American manufacturer of personal and light commercial snowplows and related accessories. We strive to create products with innovative features that make our customer's recreational and outdoor working lifestyles easier. We pride ourselves on the quality of our products, as well as the superior service and support we provide to our customers. SNOWBEAR Snowplows come loaded with features to make the job much easier. This 84 in. Spring Kit is the ideal accessory for your SNOWBEAR Snow Plow. 50 inch Commerical Pro Heavy Duty ATV Plow Combo The Swisher ATV Commercial Plow and Universal Mount is everything you need to turn your ATV into a work horse. The mount kit attaches to the rear hitch and front lower control arms of most ATVs. It's made from steel square tubing with a leaf spring design to help bolster the front suspension. Simply attach the plow blade to the mount with a pin. The plow blade makes moving snow, dirt, and gravel quick and easy. The 50 wide, 11 gauge rolled steel blade provides powerful shovelling and levelling capabilities. It features a heavy-duty swivel with dual engagement and 5 angle adjustments. Hardwearing 3/8 steel skid shoes are provided. Use with existing winch. 50 inch Commerical Pro Heavy Duty ATV Plow Combo is rated 4.0 out of 5 by 4. Rated 5 out of 5 by Beacon from Very heavy duty, easy to assemble with one person. All parts included, arrived 2 days early. Very heavy duty, easy to assemble with one person. All parts included, arrived 2 days early. Rated 3 out of 5 by Rik from Website says free shipping, I had no choice but to pick it up at delivery company. Waste of my ti... Website says free shipping, I had no choice but to pick it up at delivery company. Waste of my time driving but...the plow, so far good quality during assembly. Will find out how it works in snow. Rated 4 out of 5 by JTK from Plow works fine. Assembly instructions could be better. Turns your ATV into a decent plow. Plow works fine. Assembly instructions could be better. Turns your ATV into a decent plow. Rated 4 out of 5 by CrescentOregon from Swisher 50 in. ATV Commercial Pro Plow Combo -19975 kit $749.95): First of all, I purchased this ... Swisher 50 in. ATV Commercial Pro Plow Combo -19975 kit $749.95): First of all, I purchased this item at a very bad time when I desperately needed an answer to a snowfall issue that was getting out of hand to the tune of 30 inches and growing. If I had the time to wait, I would have bought the blade (Swisher ATV/UTV 50 in. Universal Plow Blade $406.00) and (Swisher 2646 mount kit $150.00) and saved myself $200.00 (All prices from Home Depot January 5, 2017). Plow blade and mount kit are the same as the "Combo." The assembly instructions were very difficult to follow, but when followed closely, lead to a finished product that may prove to be satisfactory with my 2008 Yamaha Grizzly 700 EPS/FI. With three sets of mounting hardware to choose from for attachment of the leaf springs to the lower control A arms, I selected the two bolt "Long" set that attached without having to cut my atv axle boots. The rear mount attaches to the trailer hitch mount at the rear. There are two options available for the bolt that attaches here, an 8" that I used, or a shorter 4 inch bolt. Once mounted to the trailer hitch and lower A arms, the mount kit is very strong. It is very helpful to use a 1 foot long, 2X6 block to hold the mount kit level after you attach the rear trailer hitch mount and tighten the leaf spring center plates. Mounting the plow blade to the swivel/lock assembly is not terribly easy because the bolt and nut attachment is hindered by having to mount a washer between the two with no clearance (if you don't understand this, see assembly instructions - it's clear as mud!). Once assembled and mounted, this system is only hindered by spring tension adjustment, winch smoothness (mine is jerky), blade shoe adjustments, and level of surface to be plowed (I have no level areas). The added weight ~ 150 lbs on the front and lower overall ground clearance of the ATV ~ 5 inches on mine (was 8 - 13 inches before) makes control an issue. Use of low range and slower speed makes control somewhat easier. A 4 to 8 inch snow deflector across the top bevel of the blade (is not included) would help out immensely with light fluffy powder snow. I will be mounting a strip of 7 inch conveyor belt across the top of mine with (6 to 8) 1/4" X 1.5" grade 5 bolts with nylock nuts (thereby voiding my 90 day warranty after I drill 1/4 inch holes in the top of the blade). Adding 24" - 36" Fluorescent Orange or Yellow Snow Plow Guide Markers (not included) to each end of the blade will help determine angle of the blade and efficiency of plowing if operating with falling or blowing snow. Entire assembly and mounting took me about 8 hours at -10°F in and unheated garage with gravel floor. Only one nut was missing (or I lost it - entirely possible), and standard (not metric) tools. Air tools are helpful but not necessary. No torque specs included or required, hand tight works.